The Australian Wildlife Conservancy (AWC) has been forced to retract three key pieces of Night Parrot fieldwork after an independent panel concluded that they lacked veracity. John Young's 2013 photos of a Night Parrot, taken in western Queensland, sent shockwaves through the worldwide birding community. 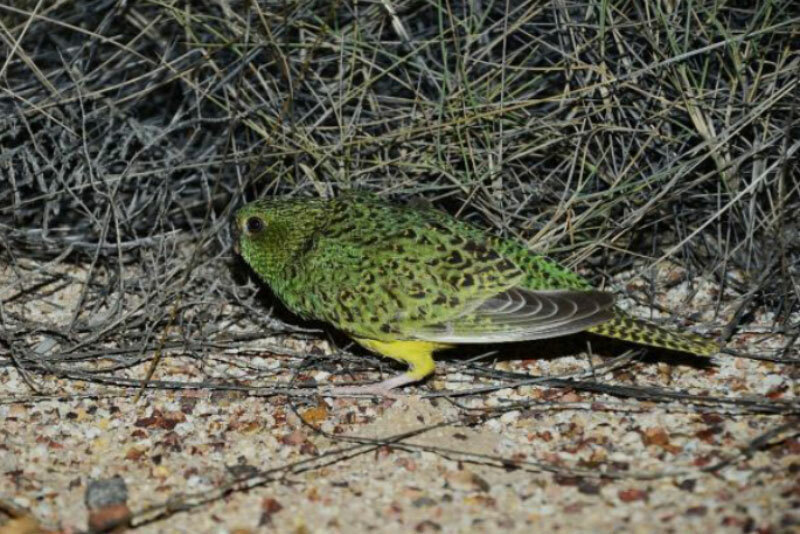 Night Parrot nests and eggs had been found at Diamantina National Park, Queensland. The fieldwork underpinning the reports was led by field naturalist John Young, who initially 'rediscovered' the species in 2013. Mr Young, who was employed by AWC in 2016 but resigned in 2018, is a controversial figure in Australian ornithology, having claimed a putative new species called Blue-browed Fig-parrot in Queensland in 2006, which was dismissed following forensic analysis of photographs, and also previously alleged the discovery of a nest of Princess Parrots, another little-known Antipodean species. Now, following the release of the damning report, Mr Young's reputation has been left in tatters, with its findings also providing a major source of embarrassment for AWC, which has seen its own credibility fall. While the feather photographed in a Zebra Finch nest at Kalamurina in July 2017 was confirmed as from a Night Parrot, the panel found that what was purported to be the same feather, sent by AWC to the South Australian Museum to retain within its collections, was in fact different. Given some unresolved issues, the panel concluded that this did not amount to definitive evidence that Night Parrot actually exists at Kalamurina, as AWC announced at the time. 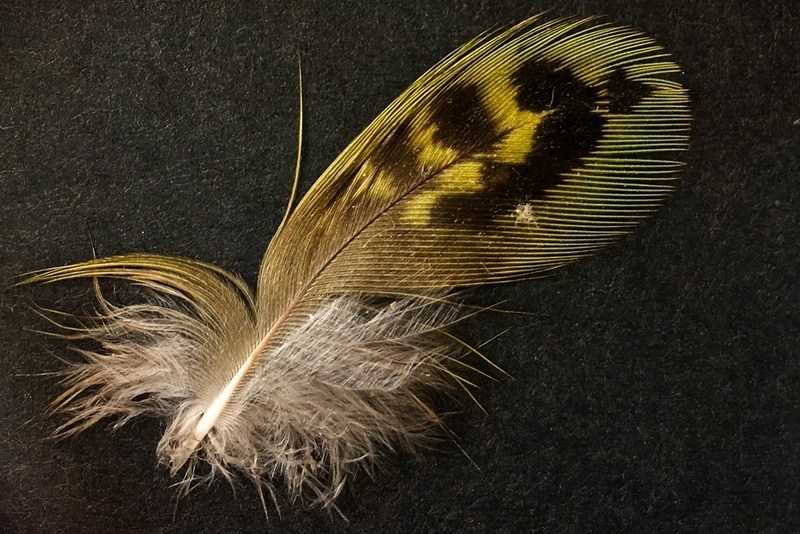 AWS released this photo of the Night Parrot feather found by John Young in a Zebra Finch nest in 2017 (AWS). Furthermore, the panel concluded that the calls of a Night Parrot, published by AWC from recordings made at Kalamurina in September 2018, were the result of playback of publicly available recordings of a Western Australian bird, rather than those of a local individual. The report stated that, at present, there is no reliable acoustic evidence for the presence of Night Parrots on Kalamurina. 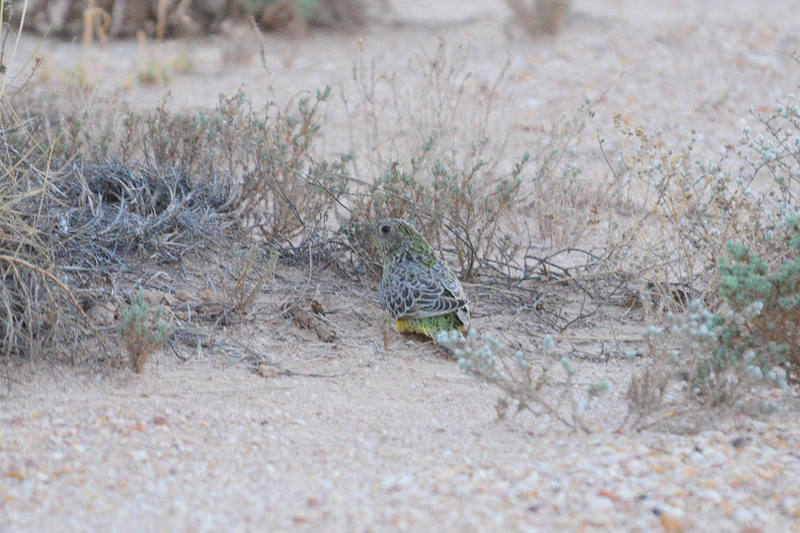 Finally, the team investigated whether one or more Night Parrot nests reported by AWC, and the eggs located in them, were properly attributable to the species. With very few Night Parrot nests and eggs ever sighted as a basis for comparison, the panel approached nine ornithologists with wide experience of the nests and eggs of Australian birds, as well as a long-term poultry farmer and a distinguished bird veterinarian. Although not unanimous, a majority of these experts concluded that the observable physical characteristics of the eggs in one nest were not consistent with natural eggs. The eggs in the other two photos were small parrot eggs and "not inconsistent" with those of a Night Parrot, but do not constitute robust evidence of the presence of breeding Night Parrots. The panel concluded that the nests were inconsistent in structure and placement, and one nest was substantially different to the few confirmed Night Parrot nests and should be regarded as “unconfirmed” until a larger number of Night Parrot nests are found, and a greater understanding achieved of the variability in nest structure and positioning. The panel then made a series of recommendations regarding AWC's protocols and procedures, most notably including recording GPS data on photographs and applying more rigorous protocol for the use of playback. Night Parrot has subsequently been photographed in the daylight by other conservationists working with the species. This image of a young bird was taken in late 2017 in western Queensland (Nicholas Leseberg/Bush Heritage Australia). In a statement released on 22 March, AWC Chief Executive Officer Tim Allard confirmed that the organisation is committed to correcting the public record. He said: "Due to the findings, AWC is retracting records of the Night Parrot published by AWC. The methods used in this work were not consistent with AWC's usual procedures. "AWC is also retracting other records that were obtained by Mr Young but were not the subject of this inquiry, where there are similar concerns regarding the adequacy of survey and analysis techniques. This includes records of Buff-breasted Buttonquail. "We are disappointed that our processes in relation to this work were not sufficient, and we are committed to ensuring that all of our staff implement and comply with appropriate standards for recording significant scientific data." A 45-minute podcast, entitled Flight of fancy: the mysterious case of the Night Parrot, can be listened to on the ABC Radio website here.